Researching at the intersection of religion and politics, Naser’s interests lie in the study of Islamic political theology, secularism, state-religion-society relations, and Middle East and Iranian politics. By mapping competing discourses and practices in the Muslim world, his current research project involves conceptualising the possibility not only of the co-existence of religious and secularity but also the need to recognise the religious roots of an emerging model of secularity in the Muslim world. Conceptualising the notion of electoral Theocracy, Naser is also working on authoritarian resilience in Iran. This project intends to explore the contribution of repeated elections to the durability of authoritarianism. 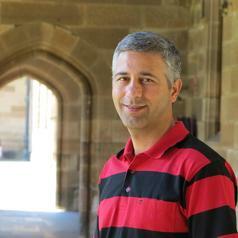 Naser holds a Ph.D. (University of Sydney, 2012) and an M.A. in Political Science (Shahid Beheshti University, Iran 2001). He has also worked as editor-in-chief of the foreign policy service at the Iranian Students’ News Agency (ISNA), communication officer with the UNDP and head of the Information Resource Centre (IRC), UNICEF office in Tehran.